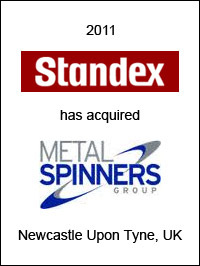 Standex International Corporation (NYSE:SXI) has acquired Metal Spinners Group Ltd., a U.K.-based metal fabrication supplier to the medical, general industrial and oil and gas markets in the U.S., U.K., and China. Joining Spincraft as a unit within Standex’s Engineering Technologies Group, Metal Spinners Group will provide the Company with access to new end-user and geographic markets, as well as high-efficiency metal fabrication capabilities and a customer base that includes global leaders in the medical device industry. Metal Spinners Group recorded revenue of approximately US$19.2 million for the 12 months ended December 31, 2010. 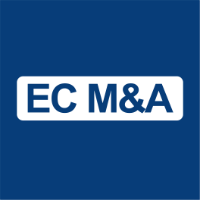 EC Mergers & Acquisitions advised Standex on this transaction.